What is the Matruvatsalyavindanam Granth? According to Adimata’s instructions, Shree Parshuram always kept on reciting the narrative of the account of Adimata Chandika’s heroics that he himself had heard directly from Shree Guru Dattatreya. As per Adimata’s direction, he preached these to three of his disciples – Rishi Sumedhus, Rishi Haritayan and Mrukand’s son Rishi Markandeya. 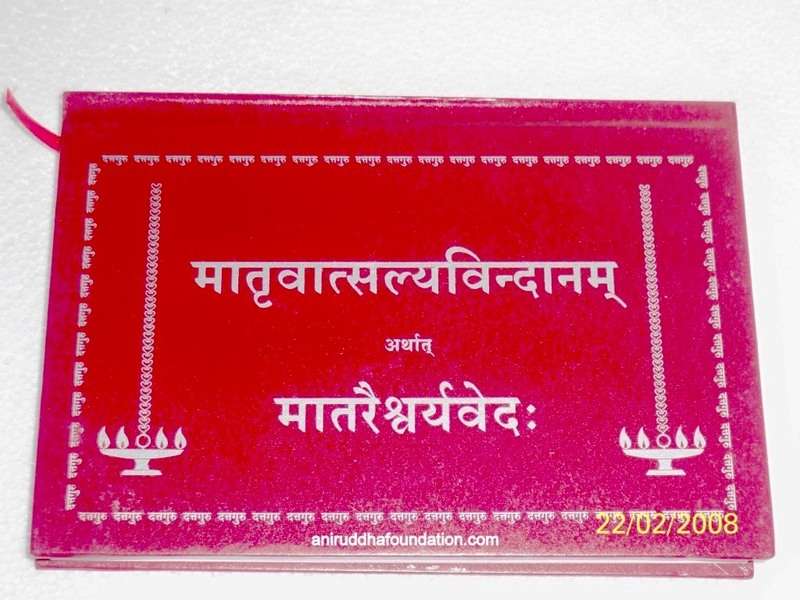 Some texts of this description have been recorded from Markandeya Purana, Kalikapuraan and Saptashati. How was the Matruvatsalyavindanam created? Guru-Shishya Parampara (Teacher-disciple tradition) holds a significant importance in India. This tradition has helped in strengthening the values ​​of India. Shree Guru Dattatreya and his disciple Shree Parshuram are the ideal Guru-Shishya duo. Shree Guru Dattatreya has narrated the actual account of the incarnations of Aadimata Mahishasurmardini and Anasuya to Shree Parshuram. This guru-disciple dialogue has resulted in the Granth named “Matruvatsalyavindanam” which is also called “Mataraishwarya Ved”. We can understand and know more about the Swaroop of Gayatri, Mahishasurmardini and Anasuya through this Guru-Shishya conversation.This book has three parts. Narratives of the heroics of Adimata Gayatri, Adimata Mahishasurmardini and Adimata Anasuya are these 3 parts. Although they may seem to be different, these three forms of Adimata are in actuality one and the same. Bapu says that whenever any Shraddhavan does the pathan (reading) of this Granth, the loving Aadimata surely comes and listens to this recitation by sitting beside the Shraddhavan. This verse of Shree Sainath is the crux of this book. Where can we get Matruvatsalyavindanam Granth?